Spring has sprung and in the prairies it currently looks like a big fat mess. Somedays I can't tell if I'm walking through one of those black and white movies that my mom constantly watches on Turner Classics or if we're living in a sepia-toned world. 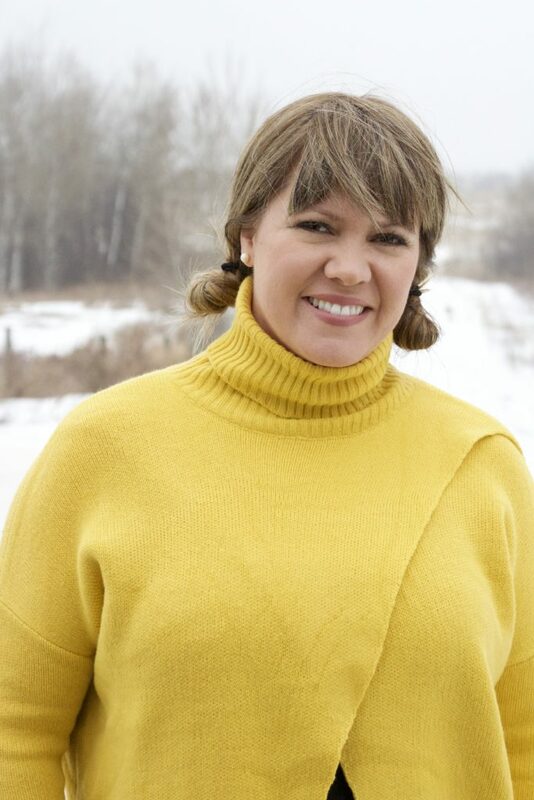 Regardless of the blah-ness of nature's current decor, I'm trying to bring some spring colour into my wardrobe and one of those hues is yellow. I've always loved yellow...when I was a child my room was Holly Hobby and I had this beautiful creamy yellow bedspread and then in my early twenties, my favourite piece of clothing was my bright yellow Russel sweats. Sadly I don't have pictures of either of those- I really need to swipe my mom's photo albums when I go home for Easter. Oh, but wait- I found one. Deena, 1999- our year of study at l'Université Laval in Québec City. One would think I would be all over the fashion, but no- my wardrobe consisted of raggy t-shirts (see my glow in the dark baseball shirt I got from Cooperstown) and bigass sweats. 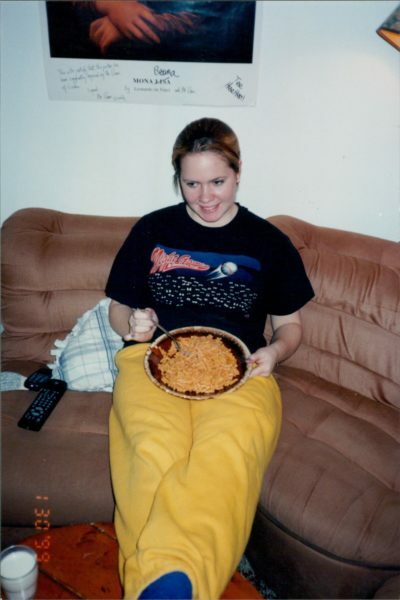 Also, we ate a lot of Kraft Dinner that year. Our money had better purposes, like beer and poutine. 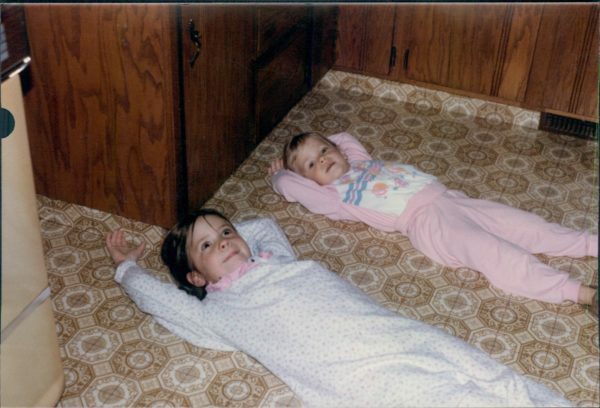 Also- whilst searching for proof of my Holly Hobby bedspread, I came across this picture of Kyla and I sprawled out on the kitchen floor. Remember last when I said I like to do that for some 'me' time in my me time list post? Well, it started early. Also, I would like to point out that that was our entire kitchen, my feet were touching the fridge (golden harvest, classy) and also in the left hand corner is a dishwasher. YES, husband, once upon a time we had a dishwasher and I learned how to stack things. Properly, I'm sure. But I seem to be out of practice. So yes, anyway, back to sepia and black and white. 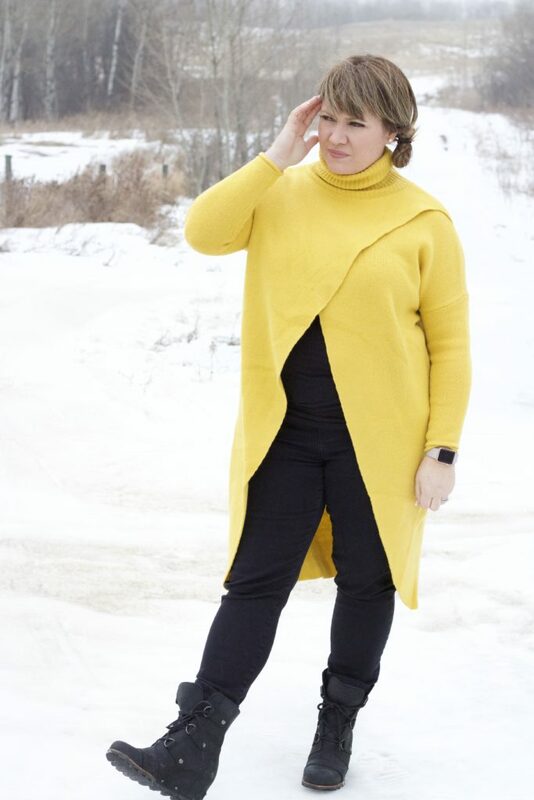 I have been enjoying playing with a pop of colour here and there and had the chance to sport this unique crossover turtleneck that a co-worker found and we co-ordered back in semester one. So here's to yellow! Ummm that sweater is kinda AMAZING!!! Off to shop the links!! Also love the throwbacks....life was much easier in the days We ate Mac and Cheese and drank beer with dinner wasn't it?!? So in love with this look! Everything from the color to the slit front to your absolutely adorable Hair! You nailed it beautiful girl! Deena style is always unique and gorgeous. Such a great sweater. I love your throwback pictures! That sweater is so unique! Love the golden color and the slit! Such a fabulous look! Such fun throwback pictures! I love the yellow sweater! That's a great sweater, can't believe you haven't blogged it before. Ah, my two little dollies ... and I love yellow too! I'd love if you stop by my blog and linkup this outfit on my Thursday Moda linkup. A new linkup goes live every Thursday. Come share your lovely style with me and my readers. Thanks and happy hump day! What a beautiful pop of color over an entire black outfit. I would totally rock this. That is a truly darling sweater!!! I love it!! I don't know where you live, but after living in MN for 3 winters I can certainly feel your pain. One of the things I was most excited about when we moved to CA was wearing whatever kind of shoes I wanted again and not having to worry about ruining them. Hang in there...spring is coming and the "sepia snirt" will go away! That sweater is just the cutest on you. The bright color with the snow in the background perfection. That is one fancy turtleneck. I had to sit here and be like wait, how does that work? Also, that's a lot of snow. Boo on that. We don't have much left (just the gross big piles) so we are left with brown and grey grass. I'm ready for green. Your sweater is so fun! I love the cross at the top. This little trip down memory lane was fun too, haha! Love these pictures so much. And I want that sweater. Love those throwback photos, lady- and big sweatpants are back in, who knew? :) Super cute yellow turtleneck! Fun hair! And that yellow will melt that mush away in a hurry. Yellow is lovely on you so it's great you like it so much :) That looks like a really cosy top, love the wrap over feature! It's nice you have these old photos to look back on too. I have a lot of photo albums at my parents but would have no idea where they are now! What a FUN top (and HAIR!) You are simply gorgeous!